Please ensure all Junk and Spam folders are checked for eVoucher delivery. This eVoucher will be activated for use 24hrs after purchase. This eVoucher is only valid for use at Event, The Embassy and Rialto Cinemas (Newmarket and Dunedin locations only). This eVoucher is valid for 1x Adult admissionto astandard movie session. eVouchers are valid for 6 months from date of purchase. The onus is on the holder to use the eVoucher on or before the specified expiry date. This eVoucher does not guarantee a seat - seating is subject to availability. Book your seats online at www.eventcinemas.co.nz (Booking fees apply) OR take a printed copy of the emailed eVoucher to the cinema box office. Treat the eVoucher barcode and PIN details like you would cash. Surcharges apply to upgrade the cinema experience to 3D and must be paid at the same time as redeeming the eVoucher. Not valid for Gold Class, Imax, Vmax, Cinema Deluxe or Embassy Platinum screenings, group bookings, marathon or special event screenings where the price of admission is greater than a standard admission. Event, The Embassy and Rialto (Auckland & Dunedin) Cinemas take no responsibility for the information entered by the purchaser or for incorrect details such as email address, by the purchaser. eVouchers are sold with the understanding that they will not be replaced or exchanged. No change given for tickets purchased that are less than the value of the eVoucher. eVouchers are not available to be reloaded with any additional credit. This eVoucher cannot be transferred or sold without the prior written permission of EVENT Cinemas LTD.
Any use of the company name, images or logos must have the prior written consent of EVENT Cinemas LTD.
eVouchers will be void and will not be redeemable if they are defaced, mutilated, altered or tampered with in anyway, or if the eVoucher Barcode is illegible. Event, The Embassy and Rialto (Auckland & Dunedin) Cinemas may subject eVouchers to verification and security checks in its absolute discretion. Event, The Embassy and Rialto (Auckland & Dunedin) Cinemas reserves the right to cancel any eVoucher, or the eVoucher scheme, for any reason at any time without notice. In these circumstances Event, The Embassy and Rialto (Auckland & Dunedin) Cinemas may either provide a refund or a replacement eVoucher of equivalent value unless it reasonably suspects fraud in relation to an eVoucher. • Only valid for use at EVENT, The Embassy or Rialto (Newmarket & Dunedin) Cinemas. • Movie Gift Cards are valid for 12 months from date of purchase or until a $0 balance is reached, whichever occurs first. 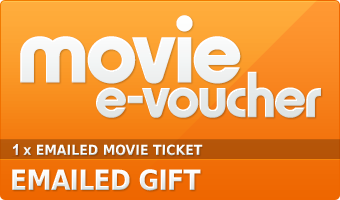 • Movie gift cards cannot be used for any gift voucher, other gift card, e-voucher or merchandise purchase through giftshop.eventcinemas.co.nz, eventcinemas.co.nz, mycorporate.eventcinemas.co.nz or at cinema box offices. • Gift Cards cannot be transferred or sold without the prior written permission of the Event Cinemas Limited. This eVoucher is valid for 2x Adult or Student admission to the same standard movie session. It cannot be split for separate entry to different movie, cinema, date or time. eVouchers are valid for 12 months from date of purchase. This eVoucher does not guarantee a seat - seating is subject to availability. Book your seats online at eventcinemas.co.nz (Booking fees apply) OR present your emailed eVoucher to the cinema box office. Upgrade to 3D/VMAX/IMAX/Cinema Deluxe - surcharge applies and must be paid at the same time as redeeming the eVoucher. Not valid for use for Gold Class, Embassy Platinum Seating, Movie Marathons, group bookings or any sessions classified as festivals, alternate content or special events including but not limited to foreign films. Voucher entitles the holder to one Adult or Student admission to any standard session at Event, The Embassy and Rialto Cinemas (Newmarket and Dunedin locations only). This Voucher does not guarantee a seat - seating is subject to availability. Book your seats online at www.eventcinemas.co.nz (Booking fees apply) OR present your Voucher to the cinema box office. Upgrade to 3D/VMAX/IMAX/Cinema Deluxe - surcharge applies and must be paid at the same time as redeeming the Voucher. Vouchers are sold with the understanding that they will not be replaced or exchanged. No change given for tickets purchased that are less than the value of the Voucher. Vouchers are not available to be reloaded with any additional credit. Vouchers cannot be transferred or sold without the prior written permission of EVENT Cinemas LTD. Event, The Embassy and Rialto (Auckland & Dunedin) Cinemas may subject Vouchers to verification and security checks in its absolute discretion. Event, The Embassy and Rialto (Auckland & Dunedin) Cinemas reserves the right to cancel any Voucher, or the Voucher scheme, for any reason at any time without notice. In these circumstances Event, The Embassy and Rialto (Auckland & Dunedin) Cinemas may either provide a refund or a replacement Voucher of equivalent value unless it reasonably suspects fraud in relation to an Voucher. Voucher entitles the holder to one Child or Senior admission to any standard session at Event, The Embassy and Rialto Cinemas (Newmarket and Dunedin locations only). Child is aged 3-15 years inclusive, Senior is aged 60 & above inclusive. Each Screen Saver entitles the holder to one Adult or Student admission to any standard session at Event, The Embassy and Rialto Cinemas (Newmarket and Dunedin locations only). Not valid for use from 5pm Fridays and Saturdays. Screen Savers are valid for 12 months from date of purchase. The onus is on the holder to use the Screen Saver on or before the specified expiry date. This Screen Saver does not guarantee a seat - seating is subject to availability. Book your seats online at eventcinemas.co.nz (Booking fees apply) OR present your Screen Saver to the cinema box office. Upgrade to 3D/VMAX/IMAX/Cinema Deluxe - surcharge applies and must be paid at the same time as redeeming the Screen Saver. Screen Savers are sold with the understanding that they will not be replaced or exchanged. No change given for tickets purchased that are less than the value of the Screen Saver. Screen Savers are not available to be reloaded with any additional credit. Screen Savers cannot be transferred or sold without the prior written permission of EVENT Cinemas LTD.
Screen Savers will be void and will not be redeemable if they are defaced, mutilated, altered or tampered with in anyway, or if the Screen Saver Barcode is illegible. Event, The Embassy and Rialto (Auckland & Dunedin) Cinemas may subject Screen Savers to verification and security checks in its absolute discretion. Event, The Embassy and Rialto (Auckland & Dunedin) Cinemas reserves the right to cancel any Screen Saver, or the Screen Saver scheme, for any reason at any time without notice. In these circumstances Event, The Embassy and Rialto (Auckland & Dunedin) Cinemas may either provide a refund or a replacement Screen Saver of equivalent value unless it reasonably suspects fraud in relation to an Screen Saver. Each Screen Saver entitles the holder to one Child or Senior admission to any standard session at Event, The Embassy and Rialto Cinemas (Newmarket and Dunedin locations only). Child is aged 3-15 years inclusive, Senior is aged 60 & above inclusive. 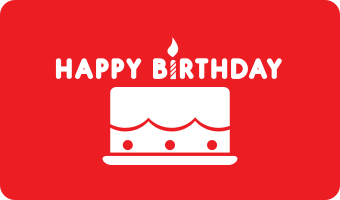 Vouchers expire 12 months from date of purchase. 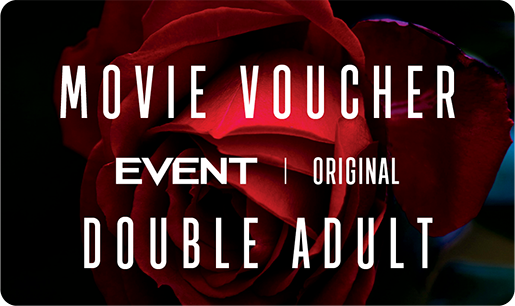 Vouchers entitle the holder to one Adult or one Student admission to a standard session at Event, The Embassy and Rialto Cinemas (Newmarket and Dunedin locations only). Use your voucher to book online at eventcinemas.co.nz. Online booking fees apply. Surcharges apply to 3D screenings. 3D glasses sold separately. Vouchers are sold with the understanding that they will not be replaced or exchanged and are invalid without an expiry date. No refunds given except those required by law. Vouchers cannot be transferred or sold without the prior written permission of the Event Cinemas Limited. Any use of the company name, images or logos must have the prior written consent of the Event Cinemas Limited. Not valid for Gold Class,Imax, Vmax, Cinema Deluxe, Embassy Platinum screenings. Not valid for film festivals, alternative content, special events and experiences. Vouchers will be void and will not be redeemable if they are defaced, mutilated, altered or tampered with in anyway, or if the Voucher Barcode is illegible. Event, The Embassy and Rialto Cinemas nationwide may subject gift vouchers to verification and security checks in its absolute discretion. Event, The Embassy and Rialto Cinemas reserves the right to cancel any Gift Voucher, or the Gift Voucher scheme, for any reason at any time without notice. In these circumstances Event, The Embassy and Rialto Cinemas may either provide a refund or a replacement Gift Voucher of equivalent value unless it reasonably suspects fraud in relation to a Gift Voucher. 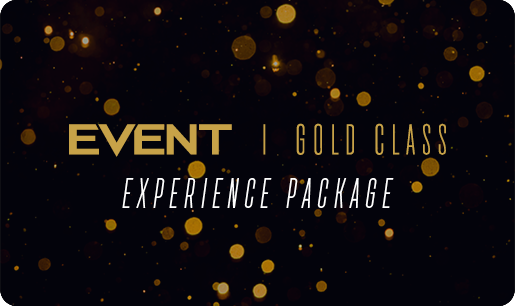 Gold Class Voucher entitles the holder to one admission to any standard Gold Class session at EVENT Cinemas Ltd.
Gold Class Bar Vouchers are valid for redemption at the Gold Class Bars of any EVENT Cinema Ltd for food & beverage. 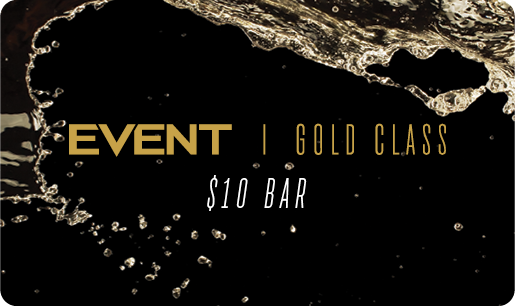 Gold Class Bar Vouchers can only be redeemed for the value of $10, no change will be given for purchases of less than $10. If the purchase exceeds $10, additional items must be paid for separately and are the responsibility of the guest. Use your Gold Class Voucher to book on-line at www.eventcinemas.co.nz Booking fees apply, Or present your Vouchers at the cinema box office. Upgrade to 3D Gold Class sessions - surcharge applies and must be paid at the same time as redeeming the Voucher. EVENT Cinemas LTD may subject Vouchers to verification and security checks in its absolute discretion. EVENT Cinemas LTD reserves the right to cancel any Voucher, or the Voucher scheme, for any reason at any time without notice. In these circumstances EVENT Cinemas LTD may either provide a refund or a replacement Voucher of equivalent value unless it reasonably suspects fraud in relation to an Voucher. This voucher entitles the holder to purchase food and beverages from the EVENT Cinemas Ltd Gold Class Bar only to a maximum value of $10. No change given if the purchase is under $10. Additional items must be paid for separately and are the responsibility of the guest. Alcohol is not served to persons under 18 years. Minors (under 18 years of age) must be accompanied by a responsible adult at all times when in the Gold Class areas & will not be served alcohol.